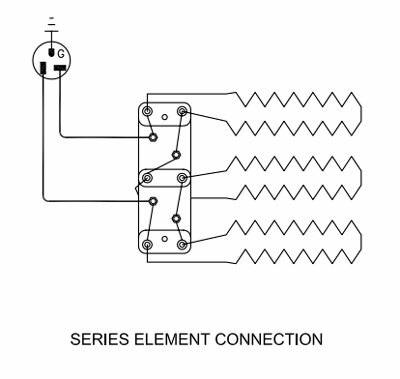 In general E- d or Errd means that one of the thermocouples' temperatures is 50°F above traveling set point. 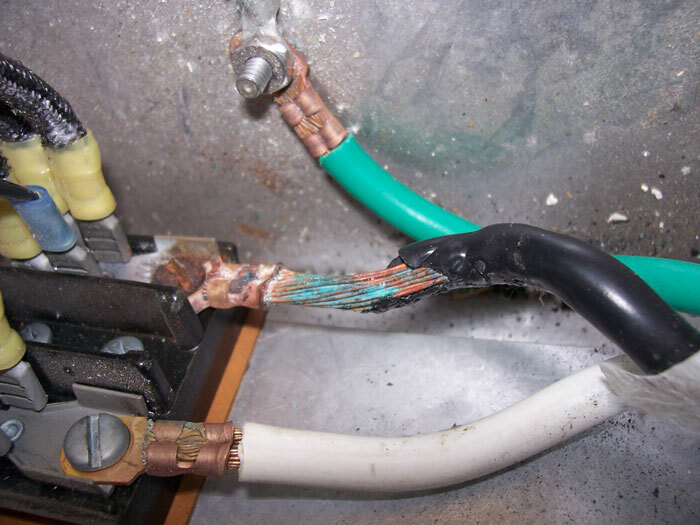 The basic cause of this is some condition that is causing the heat of the elements from not getting to the thermocouple tip or some sort of erroneous thermocouple reading. This often happens during a first firing in an unloaded kiln. The first thing to do is to fire the kiln with shelves evenly loaded in the kiln (avoid putting the shelves directly in front of an element or allowing a shelf to touch a thermocouple. If all else fails just turn off the Error Codes. Loading may be uneven: Try making sure two elements are exposed between the bottom two shelves so that more heat is put in the bottom. Load may be too close to or is touching the thermocouples. This would shield the thermocouple from the heat of the kiln. Allow almost an inch between everything for thermal expansion. Fix and re-fire the kiln. Center zone is too hot. Element(s) out: They could be broken inside the kiln. Look for damage or do a paper test. Test ohms. Element(s) out: Wire bringing it power may be burned off. Relay out: A kiln section’s temperature is noticeably lagging behind at medium to high temperatures. Check relay. Check to make sure relays are connected to the proper outputs on the control board. There is a bad connection point somewhere and it is overheating causing a voltage and power loss to the kiln. This will become more of a possibility as the kiln ages. Examine all points carefully for melting, corrosion, discoloration and/or bad smell. This can usually be seen. It will look overheated. 3 phase kiln hooked up to 1 phase with a neutral on the center leg. 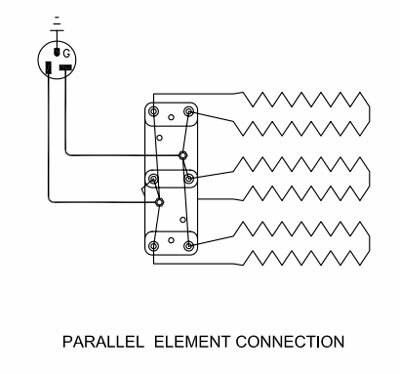 This would not provide proper voltage to some of the elements. Thermocouples are reading unevenly (from age, loading unevenly or loading too close to the thermocouple). Check thermocouples. Different style thermocouples were used in the same kiln. For instance you could have a metallic sheathed thermocouple and an exposed 8 gauge thermocouple. 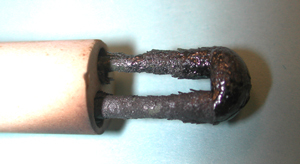 A thermocouple extension wire has melted against the kiln case (the thermocouple extension wire can melt and send erratic signals to the DynaTrol). The wire extension must be replaced. Thermocouples are not fully inserted into the kiln. They should be in at least 1". A thermocouple is about to fail. Perform a physical inspection if possible, or just re-start the kiln and monitor it carefully. One or more of the thermocouples is bottoming out in the thermocouple protection tube. This could give you very different readings in the various thermocouples which would give you an Error D. To solve this put a washer on the mounting screws between the ceramic washers - you only need to pull back the thermocouple a 1/8" or so. Debris in the thermocouple protection tube could also be causing different readings in the various thermocouples. Remove them and dump out any debre. 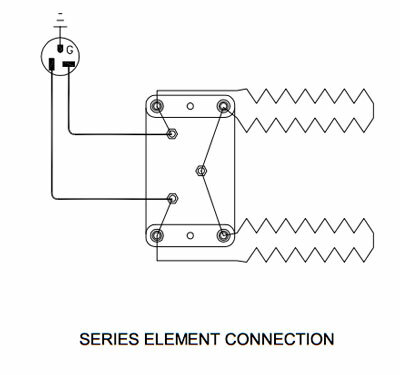 Make sure thermocouples are connected to the proper inputs on the control. 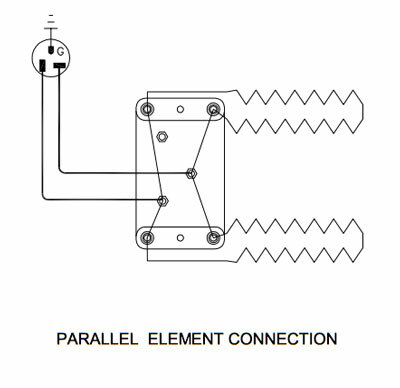 There is noise in the thermocouple circuit. Easy-Fire or eQuad-Pro kiln is reassembled incorrectly: backwards thermocouple wires at thermocouple or at terminal strip. Power wires not connected in right order on terminal strip or on relays. Two section kilns: Top ring is in #1 receptacle on the control, bottom is in #2. Top ring gets TC1 bottom ring gets TC2. Three section kilns: Top is in #1 receptacle, middle is in #2, bottom is in #3. Top ring gets TC1, middle ring gets TC2, bottom ring gets TC3. Four section kilns: Top is in #1 receptacle, next section down is in #3, next is in #4, the bottom is in #5 (the cords and numbers go 1,2,3,4, but the second receptacle down on the control box is skipped; there are five circuits on the control, but only four sections. The top ring gets TC1. Either the upper-middle or the lower-middle section can have TC2 in it. The bottom ring gets TC3. All five circuit controls have the center three circuits tied into TC2. Therefore, skipping #2 receptacle with the four ring kilns would be the same as skipping the #3 or the #4 receptacle. TC1 must always be in the top section and TC3 must always be in the bottom section. TC2 can be in either of the middle sections. Five section kilns: Top is in #1 receptacle, upper middle is in #2, middle is in #3, bottom-middle is in #4, bottom is in #5 receptacle. The top ring has TC1 in it. The middle ring has TC2 in it (receptacles #2,#3,#4 go on and off together), the bottom ring has TC3 in it. DaVinci Handheld Control: Check Handheld 14-pin connector for poor connection. Wiggle carefully while running, etc. You were firing with the lid open and you got Errd either while the lid was open or right after you closed it. For drying with the lid open, only about two inches is needed to adequately vent off water vapor. This is plenty if all the peep holes are open. The DynaTrol will attempt to compensate for the heat loss, and it usually can. The trouble may happen when you close the lid. The elements in the top of the kiln are already much hotter than the ones nearer the bottom due to their need to compensate for the heat loss from the top. When you close the lid it can take as long as eight seconds for the DynaTrol to respond to the rise in temperature in the top of the kiln, and shut off those elements. This can quickly cause an uneven temperature in the kiln, which will usually result in Errd (possibly an Err2 in a smaller kiln -Err2 is when the entire kiln temperature is more than 50°F over the hold time's temperature for longer than 18 seconds). There was a lot of air being exhausted from your kiln when Errd appeared. If a vent system pulls too much air from just one point in the kiln, say, to down-ramp the load very quickly to a lower hold time for crystal formation, an uneven temperature can result. The firing will go slowly as it will be difficult to compensate for the heat loss; eventually, however, the Errd (or Err1) can appear.